A Gift Card to Wally’s Desert Turtle is a unique and exceptional gift for that someone special. People understand that when you give a Gift Card from Wally’s, a lot of thought and appreciation has gone into the effort. Corporate gifting and thank you cards for referrals and sales are also great opportunities to consider giving someone a Wally’s Gift Card. Corporations, country clubs, and local businesses have all been wise enough to partner with Wally’s on an annual gift-giving basis. 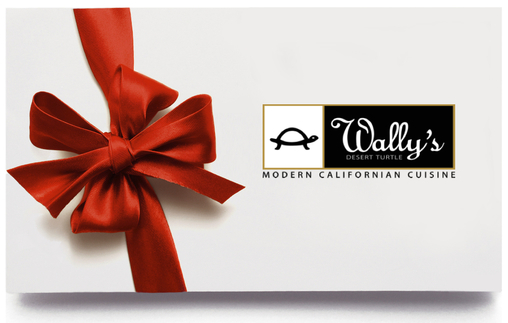 To purchase a Gift Card, call (760) 568-9321 or email us at wallysofficemanager@gmail.com.